What authors does Speakers represent? Heinemann Speakers represents only Heinemann authors. Please see our list of presenters. How far ahead should I request a speaker? Most speakers book 6-12 months ahead, but this varies based on specific speaker's schedules. Look for notes on our list of presenters. Speakers set their own fees based on the work requested. Fees do not include travel expenses. What types of speaking engagements are available from speakers? Most authors offer a variety of presentation formats to meet the needs of the booking group. What can I expect when booking a speaker? Please see How to Book a Presenter. See inquiry form. If you have further questions, you can call Speakers at 800.541.2086, ext. 1402. Where can I find a calendar of scheduled Seminars and how do I register for one? School-Based Seminars are scheduled by school, district, or regional educational services center personnel for site-specific delivery, to small groups of teachers employed by that particular school or district. Individual teachers seeking regional, open-enrollment workshops are encouraged to examine the Heinemann One-Day Workshops and Multi-Day Institutes schedules available on this web site. Are School-Based Seminars presented by Heinemann authors or consultants? Each School-Based Seminar is developed in collaboration with Heinemann authors and based on an author's (or authors') book. The courses are delivered by Heinemann consultants that have been approved by the author. The cost of Heinemann School-Based Seminars is on a per person sliding fee scale, starting at $180 per person for the minimum of 20 participants (or $3600) and sliding down to $105 per person for the maximum of 50 (or $5250). This price is all inclusive. A copy of the related Heinemann text is provided for each participant and included in the cost, as are hand-outs, the consultant's fee, and any expenses the consultant incurs getting to and from the school or district. The school or district is responsible for providing the seminar venue and any catering desired. Is there a limit to the number of teachers that can participate? School-Based Seminars are designed to be highly interactive. As such, they are intended for small groups of teachers, a minimum of 20 participants and a maximum of 50.
Who are the Heinemann consultants that deliver School-Based Seminars? Heinemann consultants are former and current educators. Each possess strong backgrounds in teaching and has excellent presentation skills. 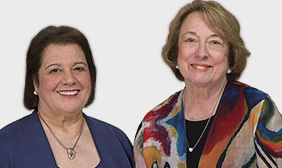 Because Heinemann Seminars represents the work of Heinemann authors, who, themselves, are nationally noted, highly reputable leaders in the field of language arts, Heinemann has a high obligation to ensure the consultants who deliver Heinemann Seminars have our authors' confidence. As a result, Heinemann consultants are a select group. 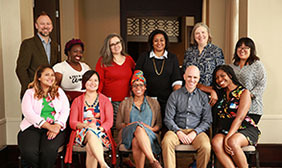 Each of them has either been identified by a Heinemann author, him- or herself, or has been chosen in collaboration with the author whose work he or she will be representing. What will School-Based Seminars help my teachers do? Based on Heinemann books and materials, School-Based Seminars' one-day courses are developed in collaboration with Heinemann authors and presented by Heinemann consultants. They are highly interactive sessions designed to guide small groups of teachers in in-depth study of current best practices in teaching. 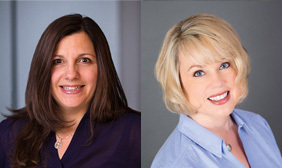 In each School-Based Seminar, Heinemann consultants provide a supportive environment where teachers have the opportunity to learn from professional discussion and establish a common language for literacy, use high quality children's literature, explore assessment, and investigate classroom management. How long are School-Based Seminars sessions? School-Based Seminars are day-long engagements, designed to provide a minimum of 5 contact hours for teachers. Some flexibility is available in terms of the length of School-Based Seminars, which can be compressed or expanded to suit a school's or district's particular time resource issues and professional learning objectives. Are School-Based Seminars available on Saturdays? School-Based Seminars are available any day of the week, including Saturdays. What kind of follow-up support is available? Heinemann School-Based Seminars also provides follow-up support days to schools and districts that desire further staff development support. Support days may include additional guided study, planning sessions, in-class demonstrations, co-teaching, and/or classroom observation and feedback. Additional support in coaching and planning is also available for teacher leaders or coaches who are expected to share strategies from the School-Based Seminar with their colleagues. Does School-Based Seminars provide customized courses? Custom requests are considered on a case-by-case basis. Each existing School-Based Seminar is designed to meet the needs of individual schools and districts. Hence, to this degree, each course is customized. If you do not see a specific topic or grade-level of interest covered in the course listing, please call for further information. New courses are constantly under development. What is the difference between a School-Based Seminar and a Heinemann Workshop? School-Based Seminars, developed in collaboration with Heinemann authors, are provided on-site by Heinemann Consultants. School-Based Seminars are designed to support groups of educators in their schools or districts and can range from a one-day seminar to ongoing professional support. Heinemann Workshops are off-site; one day workshops presented by Heinemann authors and are open to individuals and groups.